Music: Verona, an "Italian Melody." 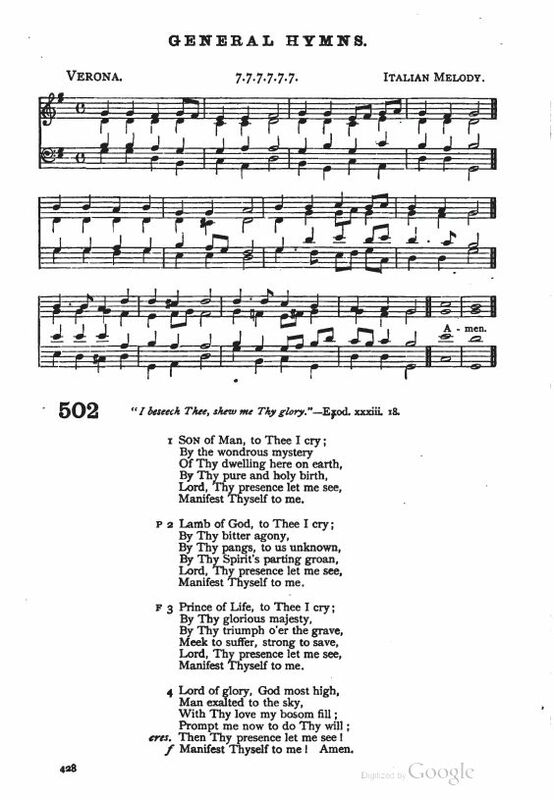 Source: Arthur Sullivan, Church Hymns With Tunes (London: Society for Promoting Christian Knowledge, 1898), #502, p. 428. Then Thy presence let me see! Sheet Music “Verona” from Arthur Sullivan, Church Hymns With Tunes (London: Society for Promoting Christian Knowledge, 1898), #502, p. 428.